In 1872 the most famous cultural critic in Britain moved into a dilapidated cottage in the heart of England's Lake District and swapped his pen for a billhook. John Ruskin's arrival in a landscape already steeped in agricultural history began an evolution that led to the extraordinary gardens that grace Brantwood today. 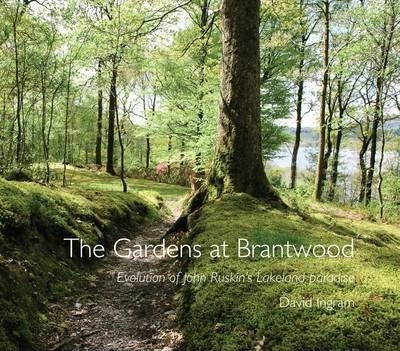 In this beautifully illustrated and comprehensive guide, eminent botanist and horticultural expert David Ingram traces the history of the gardens and explores the contribution of successive garden visionaries that have blessed Brantwood from Ruskin to the present day. Professor David Ingram OBE, VMH, FRSE is former Regius Keeper of the Royal Botanic Gardens, Edinburgh and former Master of St Catherine's College, Cambridge. He has had a long and distinguished career in the academic field and has contributed extensively to its literature. He has also used his knowledge to bring his enthusiasm for all things botanical to a wider public, especially in the sphere of garden history.